The Vimalakirti Sutra teaches the nature of the highest truth. It contains a quintessence of the Mahayana doctrines, as well as providing insight into views attributed to the Tantrayana. The Sigalovada Sutta is an exposition of the domestic and social duty for laity according to the Buddhist point of view. It is a useful guide for a harmonious society — something we’ve all anticipated to see in this Age of Degeneration. We use John McRae’s translation to follow the Chinese text. 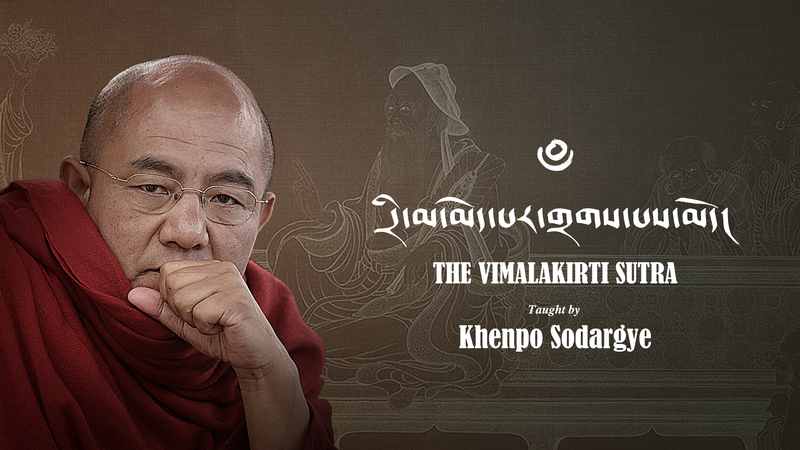 Video recordings of Vimalakirti Sutra will be shared on Khenpo’s Teachings—The Vimalakirti Sutra after each session. Video recordings of Sigalovada Sutta will be available soon. Check your local time for the live teaching here.